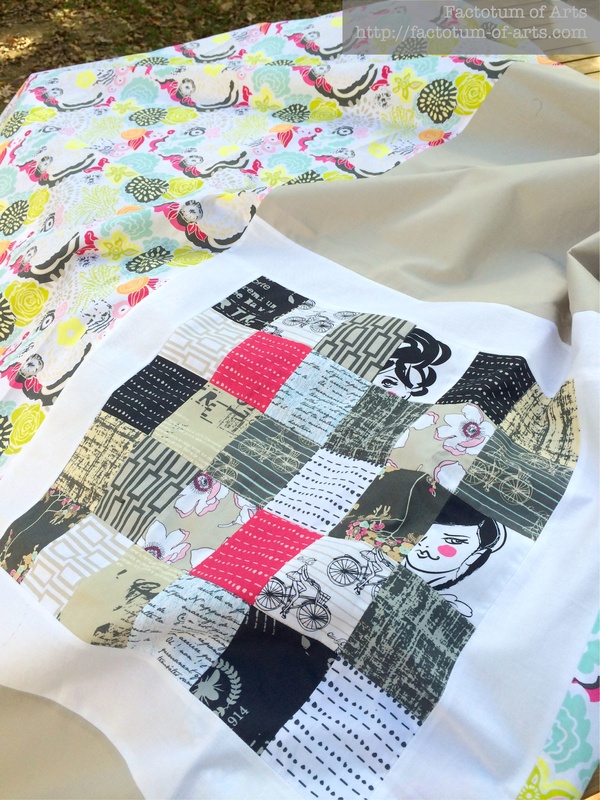 I suffer a little from Quilting ADHD… I really do. As I mentioned before I really like working on the tops and then I typically loose interest. So this week, I have refocused on getting some of my backs (the B Side) finished so I can get to the quilting stage. 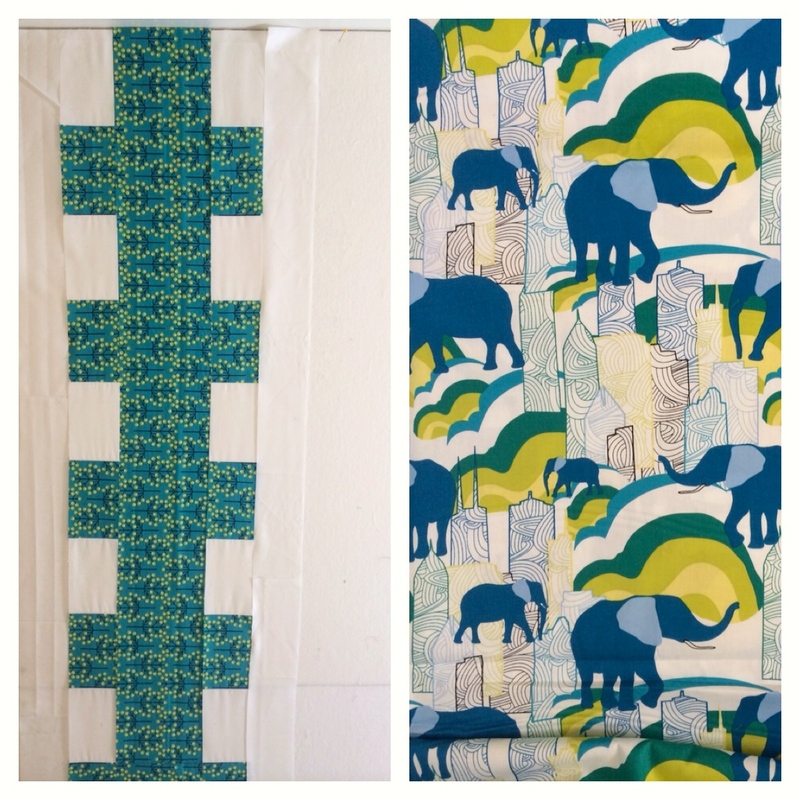 The second of the two backs are underway…it is the one for my Jungle Ave Tapa Quilt. Not overly complicated….I am using the ladder design also on the back with the fantastic elephant print. I love this print. Also, I have finished the top and back (the second of the B sides this week) for the Cherie Quilt…which is going to be named “Cheri d’amour”. Here is a sneak peak…tutorial is on its way. If anyone, has recommendations for a quilter, I am going to send at least one of these two quilts out for quilting (60 x 60″ or 60 x 70″). I have ideas for the Cheri d’Amour quilt but am struggling to come up with something for the Jungle Ave Tapa (design is here)…quilting suggestions are also welcome. Linking up with Lee over @ Freshly Pieced for WiP Wednesday (see button on the right). This entry was posted in Uncategorized and tagged Cheri d'Amour, Jungle Ave Tapa, WiP Wednesday on October 22, 2014 by mlwilkie. The elephant print is fantastic. I can stall out on quilt backs, too, sometimes I am just too wiped out on a project after finishing the top! I hate to baste so I usually check out there! I’ve had some really great ideas for my quilt backs, but then I don’t want to use them on the back cuz you’ll hardly ever see them. So then I have a quilt top, another possible quilt top and no finished item.